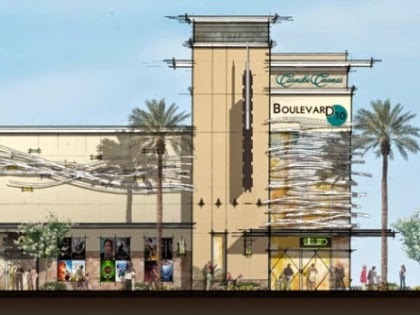 The new Carmike theatre opened its new branch in Grand Boulevard and named the Boulevard 10. One of the features that make this Destin Florida Movie Theater different from others is that the it features ten big screens. It provides seating facility for total 1,800 people. Some of the highlighted features of the theater are a state-of-the-art “BIGD” auditorium, Ovation Dining Club and premium theatre environment by Carmike’s. Boulevard 10 offers an intimate and special experience to the people who watching. The movie theatre has wall to wall movie screen, lush leather seats and tables. It isperfect place for night out and date. The Ovation dining club serves premium quality of wine, beers, drink, appetizers and dessert to the moviegoers on their demand while watching movie in Best Destin Movie Theater. You can say Boulevard 10, a movie theatre with a restaurant that serves quality food and drinks to the moviegoers. There is for the luxury recliners seating for the moviegoers over21 age. 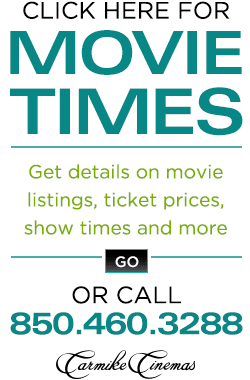 You can also plan your next intimate date with your special someone at the Boulevard 10 Destin Florida Theatre. You can spend a perfect evening or weekend at Boulevard 10 while watching movie you can enjoy drinks and snacks either with your friends, someone special or family. To enjoy movie ang get details about online tickets, feel free to call us at 850-460-3288 or visit at www.grandboulevard.com.